I created a flow that will trigger an email when the status of a list item is changed to "reply." The issue I am running into is some list items include an attachment and some do not. 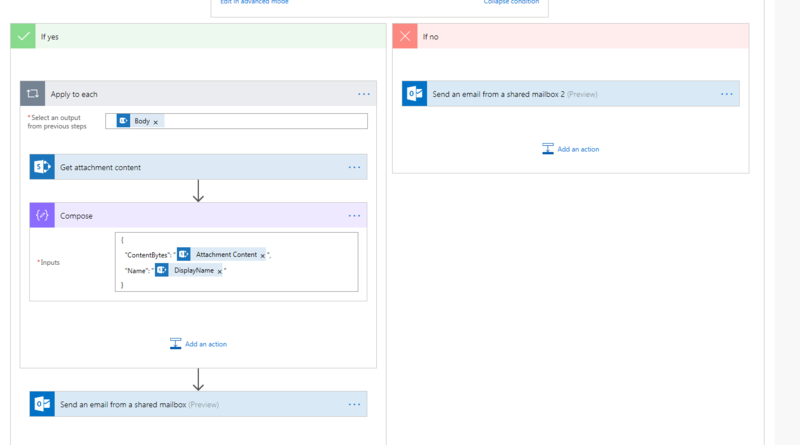 The original flow I created did not include any attachments in the triggered email so I created a new flow that would include any attachments. The problem is it is sending 2 emails - one with an attachment and one without. If the list item does not have an attachment to include it still sends 2 emails just without an attachment in the second email. Is there a way I can adjust it so it will only send 1 email either with or without an attachment depending on if the list item includes an attachment? add the "initialize variable" action towards the top of your flow, before the loop. Perhaps a variable named varItemHasAttachments, with a value of false. In the loop, add the "set Variable" action, and set varItemHasAttachments to true. Add a condition, and send the appropriate emails based on the value of varItemHasAttachments. Or, if you really want to keep it as two flows, add the same logic to both, and then use the condition to determine if the email should be sent. Not the answer you're looking for? 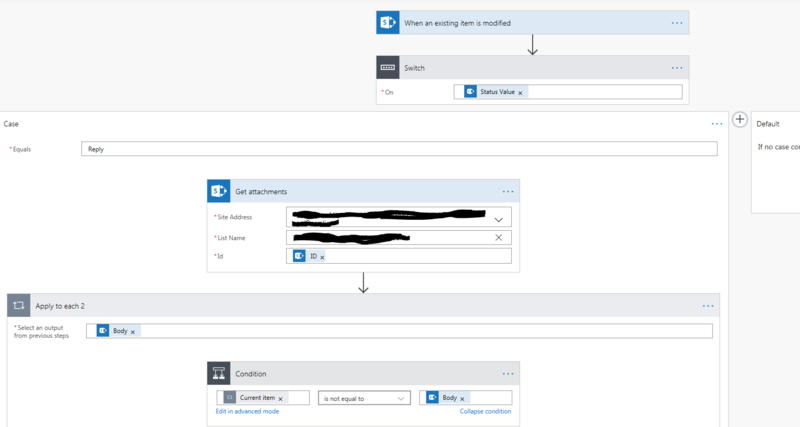 Browse other questions tagged flow sharepoint-email item-attachment or ask your own question.